A protest has taken place in the east Galway village of Woodlawn by local people who are demanding improved train services in the area. More than 200 people gathered on the platform of the railway station in the village. They are demanding that the eastbound Galway-Dublin train makes additional stops in the village. At present the only eastbound trains stopping at the station are the 5.20am and the 3.42pm services. A local action group is demanding that Iarnród Éireann allows the 7.35am train from Galway to Dublin to pick up passengers at the station. 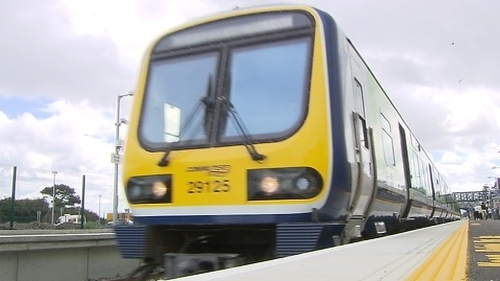 It says it is satisfied with the number of stops the train makes on the westbound service from Dublin to Galway. But it argues the eastbound Galway to Dublin service is totally unsatisfactory. The local action group said today's action was the first in a series of protests.